need markers for hologram and light shift screened characters? Some neet stuff from this company. Definately a diffeerent look. will have to keep an eye on them for things I want to adapt. I really the look of the fibreboard shipping containers - short and long, with accessories. The way they stack, the doors open, and the barricades attach make for a good variety of placements. Great for cyberpunk and post-apocalypses games - especially Necromunda! The clear flight bases (with clear rods) would be perfect for spaceship miniature games, if one is using star-textured maps. Markings can also be painted to the underside of the base (they tend to appear better when on the other side of glass, then on it), and the use of angle markers (for turning and field-of-fire angles) would allow for grid-less/hex-less maps. Well, I think I'll hijack this old discussion since it seems to be one of the closest to discuss ye' ol' Zebs Light Screens... well, there was a discussion started by Jedion about bringing Predator into the SF universe, but I'll leave that to others. Light Shift Screens are one of those interesting Zebs devices where you get a good sense of what they are supposed to do, but how would they actually function in combat? Allow me to try to delve into this. "One SEU is drained each time the screen absorbs a point of damage from a laser." This is the only reference that light shift screens provide any kind of defensive value other than camoflague or misdirection. So, I guess all of these screens have this ability so it's not as good as an albedo screen, but hey, they have other values. Light shift screens use more power the brighter it gets. Anything from 1/4th an SEU per 10 turns (one minute) in "artificial darkness" up to 4 SEU per minute in "high intensity concentrated light." OK. That makes sense though what is the big deal between "artificial darkness" and "natural darkness." A LSS uses 1/2 an SEU per minute in natural darkness. Why? I think I'd just combine the two darkness categories into one mat the 1/2 SEU per minute. Now, what about the practical applications of the three different types of light shift screens? The Type I... which I would just rename the "Blackout" model... lets you create a total black area, which is useful at night or or masking the identity of a character ... I guess when you're doing a clandestine meeting in a bar? If used at night, I'd say it would provide a character the equivalent of hard cover, if it's dusk or a shadowy area, probably the equivalent of soft cover. In an average room light to bright, no cover modifier. If the character is trying to evade detection in a dark environment, they probably should get a stealth bonus. Say, someone trying to detect them would get a -30 modifier. In a dusk to shadowy environment, a -15 to -10 modifier. In a brighter environments, you probably get positive modifiers to detect someone using this... in other words, you might as well be wearing bright neon orange. in Zebs, the Type II "shifts the wearer's image away from his actual location to a distance of one to three meters in a fixed direction. The direction must be specified when the character purchases the device... This version of the LSS is often used by Star Lawmen and Landfleet officers to draw eny fire away from themselves." Specified when you purchase it? You can't adjust it? That's pretty limiting. And it's impact in combat? Not really specified. Well, other than the displacement screen being a power hog when compared to an LSS, it works almost the same... minus any laser protection benefits... but at least it gives you an idea how to use it in combat. I propose merging these two concepts into one. Call the LSS Type II the Displacement Screen. It still uses the same SEUs as the Zebs version and provides laser protection. Now, the image of the wearer can be displaced 1 to 3 meters away. How about the 50% chance to miss? Hmm, well, there is the Type III LSS that we still need to get to. How about an attacker would receive an intial penalty of -30%. But on each successive turn, as an attacker learns that he is firing at a doppler image, the penalty drops by 5 percent until the defender is only receiving the benefit for soft cover.... that's if the defender remains exposed and in the line of sight of the attacker. If the wearer can duck behind a corner, close a door, etc., then reemerges a turn later, he'll get the same benefit from that attacker. Also, the character can alter the direction and distance of his doppler image. This would take 5 turns for the device to reinitialize the image. Oh, yeah, just call the LSS Type II the Displacement Screen. The Type III unit creates up to five images of the wearer that are all side by side and up to three meters away from each other. All in a line, side by side, eh? Zebs of course never described what effect this would have in combat. So, let's give the Type III an alternative name, say, the Doppler Screen. Doppleganger Screen? So, the Doppler Type III screen in combat provides an intial -50% chance for an attacker to hit. Once again, on each successive turn that the character remains in an attacker's line of sight, the doppler's effectiveness drops by 5%, down to 20%. Now, there can be other factors that improve an attacker's to hit ability, such as if the doppler image(s) walk through obstacles, or say they are crouching for cover where no cover is, then the attacker could receive anywhere from a +5 to +15% bonus to hit. I would also say that the wearer could alter how these images appear. Instead of just a side-by-side in line image, they could be in a line front to back or in a circle. The wearer can readjust how the doppler images are displayed, but it will take 5 turns for the images to reinitialize. Yes the Doppler screen also provides the same laser protection. Can a Type II (Displacement Screen) act like a Type I (Blackout)? Why not? It's more expensive, so I don't see why it can't do what the less expensive model did plus more. Can the Type III (Doppler Screen) do what the Type I and II did? Why not? It's more expensive. At least that is my thought. It could be that the wiring and coding doesn't allow. (To answer the why not question). Also I would consider the black out screen against the Dusk and Nightfall grenades from the same source. Keep it somewhat in line with those rather cheap devices that do something similar? I really would not have the most expensive version of the Light shift screen do what all the cheaper ones do. Its simply more expensive because it is and these are the specs on its capabilities. I do take your points. Yes, I'll have to review the effects of those grenades and see if they match or come close to my ideas. All light shift screens seem to provide some level of laser protection, no matter if it is the cheaper model or the more expensive one. So, I just think the more expensive models should at least be able to do the same thing as a lesser model. Basically, a Porsche 911 is a ground car, just like a Chevrolet Malibu is or a Geely LC Cross or a Ford Model T. The 911 does basically the same thing as the Model T, it's got moving wheels, an internal combustion engine, and moves a person from point A to point B, except the Porsche has a lot more features than the old Tin Lizzy. I can have my 7-year old Dell laptop I'm banging away on while you might have the $5,000 CybertronPC gaming computer with Intel Core i9 processing for "amazing response times and ultra-seamless play, and 32GB system memory means you can multitask without bogging down" but the high end model can at least do what my poor thing does. OK, I've reviewed the rules a bit more. A Dusk Grenades "releases a dark, odorless gas that immediately spreads out to a five-meter radius, dimming out the entire area. Only Yazarians or other characters using some form of IR or starlight optics or scanners can see normally. Otherwise, they suffer a -1 Column Shift combat modifier. Artificial light sources only work to one-third their normal range." Well, to translate that, a -1 CS = -10% to hit. The duration is not given, though it is probably similar to the Nightfall Grenade which lasts for two minutes (20 turns). The Nightfall Grenade "releases a gas that immediately causes darkness within five meters. Only by using a method of IR vision, scanners, or radar can one 'see' in this darkness. The blackout lasts two minutes. Artificial light sources only work to one-tenth their normal range in the area of effect." So, there isn't any column shift given, but I suppose it would be the same as hard cover, or -20% to hit. Now the LSS Type I "bends all light away from the shell, thus creating a totally black area." So, what is the size of this black area? Well, I guess it depends upon what size the "shell" is. I was originally thinking it might just cover the character giving an appearance like the temporal cold war aliens from the TV series Enterprise. But, that is unclear in the rules. 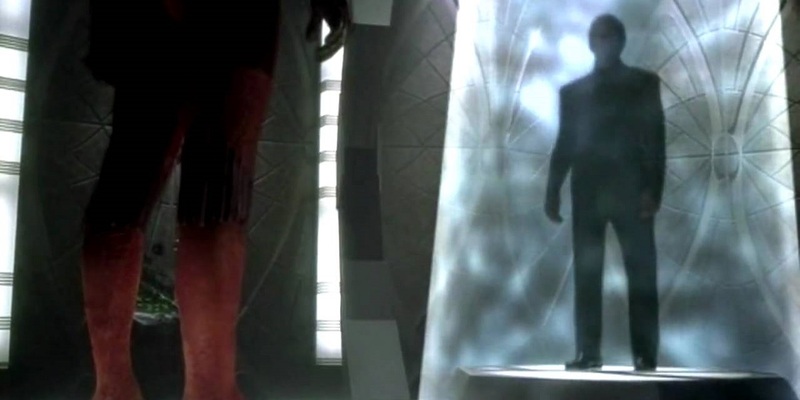 It would seem that personal energy screens usually are projected just around the wearer, but the LSS Type II an Type III defty this definition seeing that they can project the character's image away from his actual location. So the LSS Type I's area of darkness is... what? An ill-defined blob of darkness that is how big? I guess that would mean it would work well in sunlight too, like a dusk or nightfall grenade. So up to three to five meters? It would protect more than just the wearer, though wouldn't that impact the wearer's ability to see out too? Yet another case of Zebuwrong could have benefited from play testing and better development. Well, here's an idea for handling dusk and nightfall grenades. Dusk and Nightfall Grenades. A dusk grenade releases a dark, odorless gas that immediately spreads out to a five meter radius, dimming out the entire area. Only Yazarians or other characters using some form of IR, starlight optics or scanners can see normally, otherwise anyone shooting at targets inside the cloud (or characters inside the cloud firing out) suffer from a -10 percent to-hit modifier. If used in a location that is already dark, add an additional -5 percent penalty to attackers firing into or out of the cloud. A nightfall grenade acts similar, except it causes a nearly impenetrable darkness within a five meter radius. Only by using IR vision, scanners or radar can anyone “see” in or out of the cloud; otherwise characters suffer a -20 percent to-hit modifier. Artificial light sources only work to one-tenth their normal range within the nightfall cloud. If used in an area that is already dark, add an additional -10percent modifier to attackers firing in or out of the cloud. The duration of dusk and nightfall grenades is two minutes (20 turns). Effects of Wind. Breezes to fierce winds will greatly degrade the effects of dose, poison gas, dusk, nightfall and other gaseous grenades. The referee will need to decide what specifically will occur. I'm still pondering your point here, despite my car and computer analogies. The LSS Type I, also called a Blackout Screen, bends all light away from the shell, thus creating a totally black area. This screen is usually used at night or by a character masking his identity. The size of the shell can be adjusted anywhere from just projecting an aura around an individual -- thus onlookers could determine the approximate size and shape of a character in the daylight -- up to 3 meters in radius. Because of how the emitter is attuned, the wearer is able to see out of the shell without any penalties. If used at night, the wearer not only receives the benefits of soft cover (as per the Alpha Dawn combat rules, which provides a -10 percent penalty against attackers) an attacker will receive an additional -10 percent penalty (a total of -20% to-hit the wearer). If used at dusk or in a shadowy environment, the character still receives the benefits of soft cover while an attacker gets an additional -5 percent (a total of -15% to-hit the wearer). The size of the screen's shell begins playing a role in an average lit room. If it simply set as an aura, the character appears as a silhoutte to onlookers. The wearer receives no benefit for cover. If the shell is adjusted outward, it will surround the character in a sphere of blackness, which will provide the benefits of soft cover. Another character could enter the area covered by the blackout screen -- if it is set larger than an aura around the wearer. Such a character would receive soft cover from any attacks coming from outside the screen's shell, but he would also suffer a -10 percent penalty whether he is firing out of the shell or conducting melee attacks. He would also still receive a -10 percent penalty if attacking the wearer. As mentioned earlier, the Blackout Screen provides some protection against laser attacks. One SEU will be drained from the screen's power source for every point of damage absorbed from a laser. And then we will drop the idea that Type II and Type III light shift screens can duplicate the effects of the Blackout Screen. Sorry, I'm coming up with what I hope is a better (i.e less complicated) version of the light shift screens described above. Will post when I can. OK, here's what I hope is a more simplified and unified idea for light shift screens. Light Shift Screens. A light shift screen (LSS) sets up a light-bending shell around the individual or unit using it. The effects of the shell differ for each type of screen – there is the Blackout Screen (Type I), Displacement Screen (Type II) and the Doppler Screen (Type III) – but their energy consumption and ways to penetrate them are the same. All light shift screens use SEUs at different rates in different types of lighting. Because of how the emitters are attuned, the wearer is able to see around him without any distortions. LSS screens also provide a measure of protection against laserf ire. One SEU is drained each time the screen absorbs one point of damage. Visible penetration of the LSS shell is impossible while the device is on, but opponents can detect the wearer in one of several ways. For example, infrared (IR) optics and radar always show the proper heat image and location of an individual using a LSS. Other sensors such as ultraviolet (UV), electromagnetic (EM), etc. can detect the area where a LSS is operating. Of course, a character can wear defensive suits – such as the Dead Suit – which will block the wearer’s IR signature. The referee could keep in mind different environmental conditions may alter the effectiveness of these screens. For example, if a character with a displacement screen is running across a sandy desert, his image will appear to be one to three meters away from his actual location, but observers may notice the tracks in the sand he is making. LSS models are rare and expensive. Most civilized worlds forbid their use as they are the preferred devices of criminals, Sathar agents, etc. though the Type II and III screens are often used by a character to draw fire away from themselves and confuse the enemy. Dusk, smoke, thick gas, etc. Average room light, cloudy day, minor smoke, etc. Bright room light, partly sunny day, etc. High intensity concentrated light, powerlight, close proximity flare, etc. Blackout Screen (Type I LSS). This screen bends all light away from the shell, thus creating a totally black area. This screen is usually used at night or by a character masking his identity. The size of the shell can be adjusted by the wearer to be anywhere from just projecting an aura around him to a sphere that is up to three meters in radius. If used at night, the wearer not only receives the benefits of soft cover, which provides a -10 percent penalty against attackers, but attackers also receive an additional -10 percent modifier to-hit (for a total penalty of -20 percent to-hit the wearer). If used at dusk or a shadowy environment, the wearer receives soft cover while attackers have an additional -5 percent penalty modifier (a total of -15 percent to hit). The screen can provide stealth benefits at dusk (-5 percent for an INT check) or night (-10 percent for an INT check) versus opponents who are only relying on their visual senses, but as noted earlier, many sensors will detect the presence of an energy screen. The size of the screen's shell begins playing a role in an average lit room. If the Blackout Screen is only set as an aura, the character appears as a black silhouette figure to onlookers; the wearer receives no benefit for cover. However, if the screen’s shell is adjusted outward, it will surround the wearer in a sphere of blackness, which will provide the character soft cover. Another character can enter the area covered by the blackout screen (if it is set to be larger than an aura); such a character can receive the benefits of soft cover from any attacks coming from outside the screen’s shell, but he would suffer a -10 percent penalty in return whether he is attacking a character outside the shell or going after the screen’s wearer. For example, Ieva the Moog is using a Blackout Screen while trying to infiltrate the perimeter of a Pan Galactic facility at night. In addition to using the screen, he has slipped on a Dead Suit to mask his infrared signature. A security guard patrolling the grounds passes an Intuition check, hearing the rustle of plants as the Moog passes by, but then fails to notice the spy’s black silhouette in the darkness. Yet, as the Moog approaches one of the buildings, a new security robot with electromagnetic sensors detects the outline of the screen and sounds an alarn. Displacement Screen (Type II LSS.) A displacement screen shifts the wearer’s image away from his actual location to a distance of one to three meters from the wearer’s actual position. This position is set by the user. Opponents receive an initial -20 percent penalty to-hit as if the character had hard cover. Opponents may make an Intuition check after the two turns of combat to adjust their fire. An attacker can keep making an INT check until it succeeds; when that happens, the displacement screen will only provide the wearer the benefits of soft cover (a -10 percent penalty to the attacker’s to-hit number). If the defender can duck behind a corner, close a door, etc. he can adjust the direction and distance of the displaced image; this takes 5 turns (30 seconds). The character can still engage in combat and perform other tasks, including activating a different defense shield, but will not receive any benefits from the displacement screen until it is done cycling. Once the screen is reinitialized, the wearer again receives the benefits of having hard cover. Again, opponents can make an Intuition check after two more turns of combat to adjust their fire, as the process repeats itself. For example, Hurloop the Dralasite is a Star Law agent and is dodging fire from a HUSP terrorist on the planet of New Pale. Activating his Displacement Screen, Hurloop’s image appears two meters to the left and behind his actual position. The terrorist spends more than four combat turns firing at the wrong target, but then Hurloop accidentally splashes through a muddy puddle. The referee decides that gives the terrorist a +10 percent modifier to his INT check, which he passes and then starts firing at the approximate location of the Dralasite. Instead of having hard cover, Hurloop now receives the benefits for soft cover. Doppler Screen (Type III LSS). This unit is similar to the Type II LSS but instead ofshifting a single image of the wearer it creates up to five images (at the wearer's option), all exactly the same. The Doppler Screen can create the images in a side-by-side line or front-to-back, with up to one to three meters between each image. Any time the wearer is successfully hit, there is an 50 percent chance that the attack will actually miss. After four turns of combat, an attacker can make an Intuition check to adjust his fire. An attacker can keep making an INT check until it succeeds; when that happens, the displacement screen will only provide the wearer the benefits of hard cover (a-20 percent penalty to the attacker’s to-hit number). If the defender can duck behind a corner, close a door, etc. he can adjust the direction and distance of the displaced images; this takes 5 turns (30 seconds). The character can still engage in combat and perform other tasks, including activating a different defense shield, but will not receive any benefits from the Doppler Screen until it is done cycling. Once reinitialized, the wearer again receives the screen’s full benefits. Again, opponents can make an Intuition check after four more turns of combat to adjust their fire, as the process repeats itself. “New Equipment: Displacement Field,”Star Frontiersman, Issue 6, p. 27. Hmm, for some reason, when I am cutting and pasting, the space between some words is getting eliminated. I will go back when I can and edit the descriptions to eliminate that problem. I made some corrections to the descriptions above. I hope they are an improvement.